February is Valentine's month at Moffat Beach Vets. Where your furry friends are family! 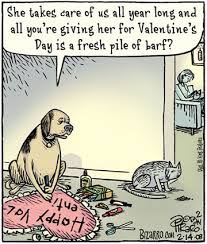 You are invited to celebrate the Valentine's month with your pets. We think one day is not enough time to show how much you love your furry friends. So, kick back in front of the fan with a cool drink and take the time to catch up on the latest hearty clinic news. Dr Linda celebrates 20 years at the clinic. Read about how to know if your cat really loves you. Show your pets you care by making sure their vaccinations are up to date. Baby's tiny brain is a cause for valentine's concern. The team chose the Gold Treatment for their Christmas party recently. They were wined and dined while enjoying a movie at the Gold Class Cinema in Brisbane. It was a great way to thank them for all the hard work they put into making each and every pet feel special when they come into the clinic. Love is not enough to protect your pets from illness. But you can protect them from deadly diseases with vaccination. Vaccination is always a hot topic in the media. There's plenty of information and scare tactics floating around on social media and so when it comes to vaccinating your pet, we want you to get the right advice. The take home message is that vaccinations are safe and have minimal (if any) side effects. The reason we recommend vaccinations is because they work to keep your pets healthy. The bonus is that when your pets come into the clinic for a yearly booster they get a full Veterinary examination which is important to ensure your pets are as healthy as they seem. Your pets are aging 4-7 years for every human year and a lot can happen in the time between Veterinary visits. Hidden disease is common in pets and it is our job to find any issues early. They protect against deadly diseases: many dangerous diseases are completely preventable with the correct vaccinations. Vaccinations save money: vaccinations are substantially less expensive than the cost of treatment for the diseases they prevent. You can board your pet with other animals: if you ever plan to board your dog or cat he must be up to date with his vaccinations - what would happen if you had a family emergency and boarding was the only option? Visits to the vet hospital: if your pet has to stay in hospital he needs to be vaccinated. If your pet is sick, his immune system may be already be compromised so you want to know he is protected. A full health examination at the time of vaccination is important for the long term health and happiness of your pets. There are many diseases we are able to vaccinate against but your pet's health, lifestyle and where you live may affect which vaccinations are necessary - we can help you make an informed decision and are always happy to discuss vaccinations with you. When it comes to vaccinating your pet, we will give you the right advice. If your pet is overdue, phone us on 5491 1056 and we can get you up to date. This month twenty years ago Dr Linda joined her brother Doug and sister-in-law Eva at Moffat Beach Vets. 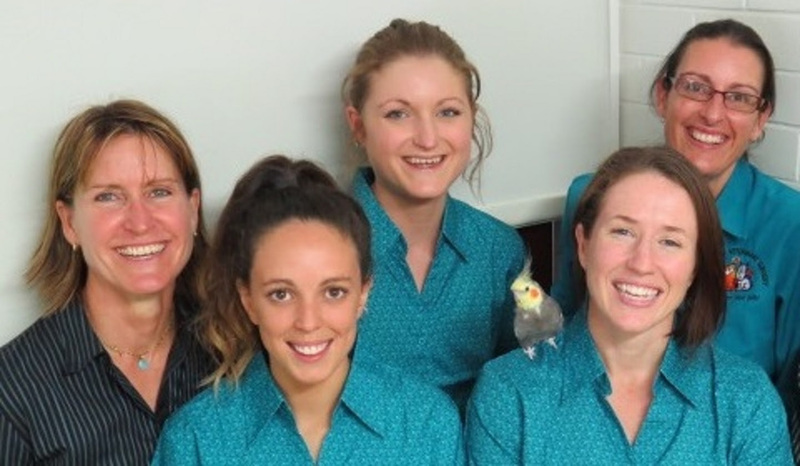 Doug and Eva have moved on, but Linda continues to enjoy caring for Caloundra pets with our enthusiastic clinic team. 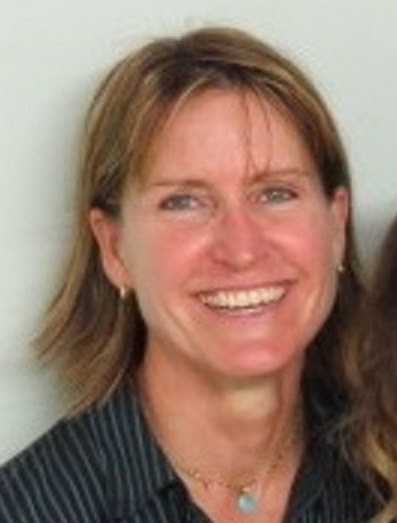 Dr Linda graduated from the University of QLD in 1985. She has had a fun and varied career including small animal and mixed veterinary practice, research into River Blindness for the World Health Organisation and refuge work. She now offers integrative therapies which include conventional Verterinary Medicine and Surgery, Acupuncture, Herbal Medicine and Therapeutic Laser Treatment. She regularly visits the local schools teaching children about responsible pet ownership. "The time has flown because I have enjoyed every minute. I feel so lucky to have the pleasure of meeting so many wonderful pets and their owners. 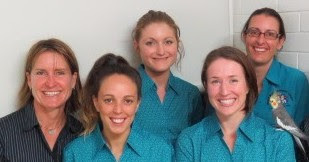 I am hoping to be at Moffat Beach Vets for many more years to come". I know I sometimes come across as a cantankerous old bird but Valentine’s day has got me feeling the love this February so I thought I’d give you all a glimpse of my softer side with this romantic poem I have written to the new love of my life. Don't you think she is beautiful? and I love you.....be my birdy valentine!